Did MarShawn McCarrell, Black Lives Matter activist really kill self? Home Scandal and Gossip Did MarShawn McCarrell, Black Lives Matter activist really kill self? Why would celebrated Black Lives Matter activist, Marshawn McCarrell choose to kill himself? Unless he didn't...? Why would celebrated Black Lives Matter activist, MarShawn McCarrell choose to kill himself? Unless he didn’t…? 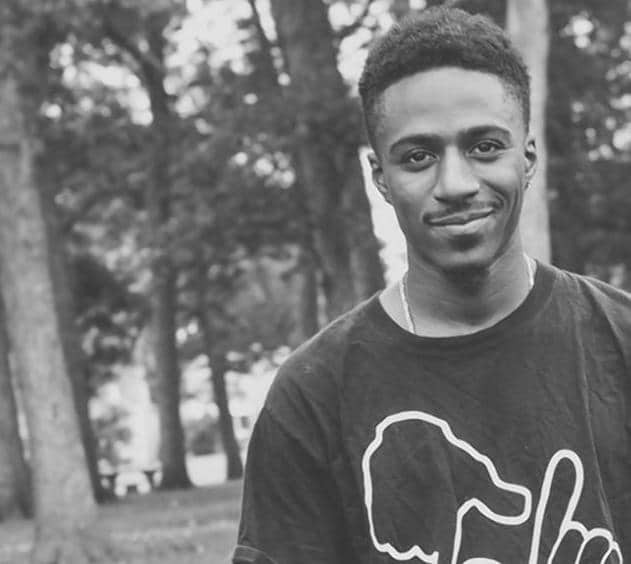 Black Lives Matter activist, MarShawn M. McCarrel II died Monday night on the the steps of the Ohio Statehouse, the result of a self inflicted gunshot wound. The man’s presumed suicide death has since raised questions what may have incited the 23 year old African American activist to take his own life? If indeed he did take his own life …? Of note, Cvetan conceded no one witnessed McCarrel shoot himself. Nevertheless Cvetan told that McCarrell was seen on the Statehouse grounds just moments before sounds of a gunshot. McCarrell’s death comes after having previously organized protests in Ohio after the shooting death of Michael Brown at the hands of former Ferguson cop, Darren Wilson in 2014. The protests would see McCarrell marginalized and a constant target. Perhaps this too could have fed into the activist’s sense of diminutive sense of self and accelerated the depression the activist is alleged to have suffered, depression aggravated by a sense of helplessness and antipathy with a rigid system that continues to see African Americans and minorities marginalized and impoverished and the constant target of the law. A founder of Pursuing Our Dreams, an Ohio based community activist group created to combat homelessness and hunger, McCarrell was recently honored as one of Radio One’s Hometown Champions. The award led to McCarrell being offered a free trip to Friday’s NAACP Image awards which he attended with his mother. Yet less than three days later, Marshawn McCarrell would choose to take his own life. But why? Before his death, McCarrel is also said to have posted a series of disarming tweets. Of particular note, a report via the New York Daily News, documents McCarrel’s own experience with homelessness after high school leading him to pursue a life of helping others. ‘It was humbling,’ he told 614 Columbus of his three months without a home. Which raises the question, what led the honored and recognized activist to be broken? Or to be even more blunt, did Marshawn McCarrell really kill himself? Why would an individual who had fought so hard to challenge entrenched interests choose to willfully kill himself? Were there others who would have been best served to have the activist removed? A GoFundMe account has been set up to help support McCarrel’s family.